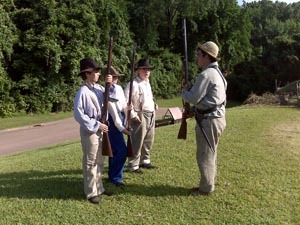 Beautiful day began at Vicksburg Military Park where young "rebels" trained to perform as if they were truly ready to fight the Civil War. Did the 16-mile loop ride around the battlefield and was impressed with the steep hillsides that played a key role in the confrontation. Monuments similar to Gettysburg.